Hey everyone! 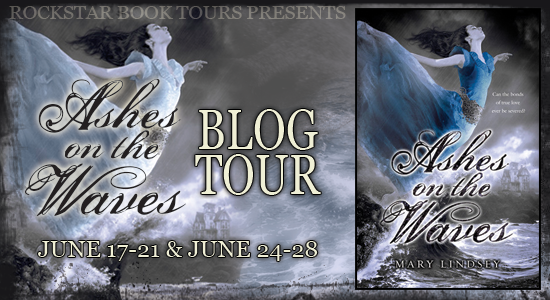 We have a seriously awesome tour to announce - it's for Mary Lindsey's ASHES ON THE WAVES which releases on June 27th. This book is amazing - yes we both read it - and love, love, loved it! The tour will run for two weeks - June 17th-21st and June 24th-28th. There will be a total of ten stops on the two-week tour, and the tour will consist of reviews, guest posts and interviews. The bloggers who are chosen as hosts will be required to come up with guest post topics and interview questions ASAP. Printed ARCs will be made available to bloggers for review - US Only. The tour will also have a few awesome giveaways. Details to come. 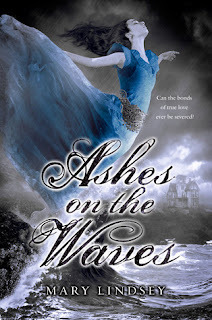 We are so super excited to be able to host this tour for Mary Lindsey's amazing book ASHES ON THE WAVES. And we can't wait for the tour to begin this June! With Anna, Liam finally finds the happiness he has always been denied; but, the violent, mythical Otherworlders, who inhabit the island and the sea around it, have other plans. They make awager on the couple’s love, testing its strength through a series of cruel obstacles. But the tragedies draw Liam and Anna even closer. Frustrated, the creatures put the couple through one last trial—and this time it’s not only their love that’s in danger of being destroyed. I love Mary Lindsay and would love to be on the tour. I'll look for the signups on the 15th.